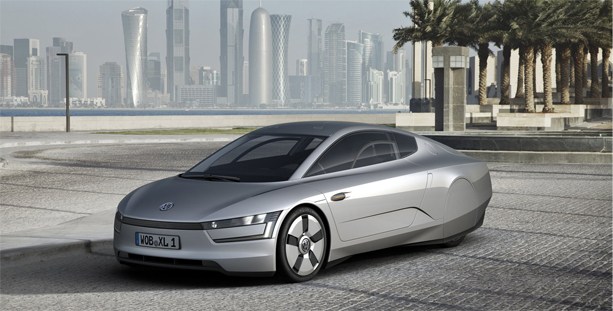 In both its styling and packaging the XL1 draws on lessons learned from the 1-Litre car (2002) and the L1 concept (2009). The XL1 has evolved to feature staggered seating with the driver and passenger placed next to each other in a body structure made from advanced new materials providing immense strength yet weighing just 230 kg. To make such weight savings possible, and yet viable for series production, Volkswagen developed and patented a new system for the manufacture of the Carbon Fibre Reinforced Polymer (CFRP) parts on the car called the Resin Transfer Moulding (RTM) process. 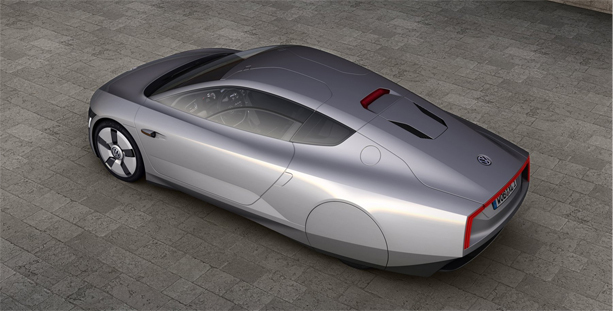 In total the XL1 weighs 795 kg.